The 12th Annual Power of DC was held on August 18-19, 2012. 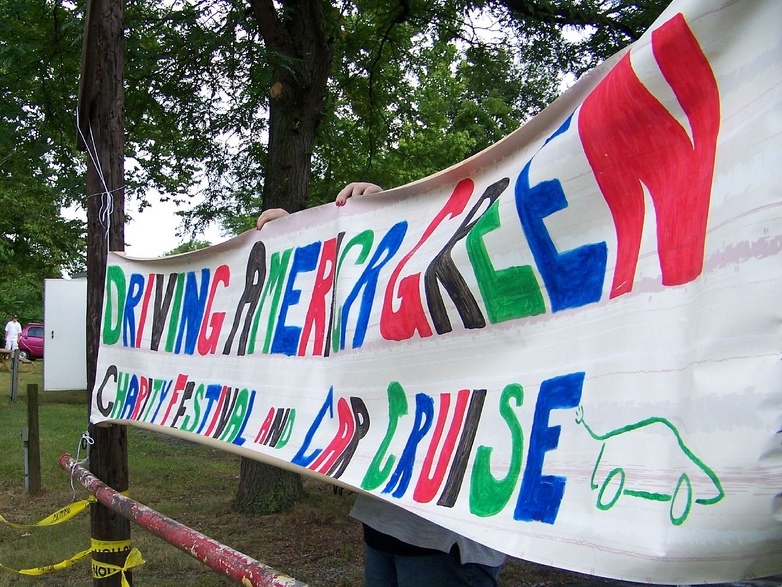 Members of the Three Rivers EVA participated in the event during the years of 2009, 2010 and 2011. 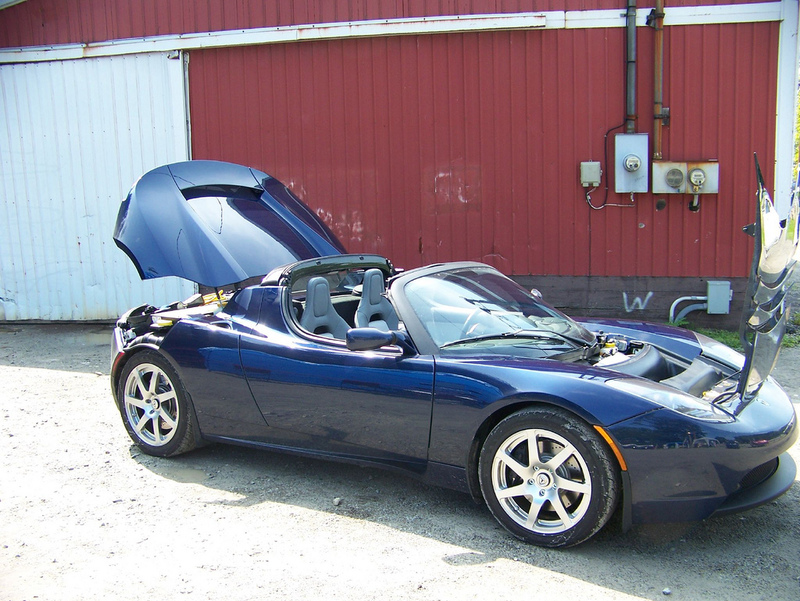 It was a great event for electric vehicles located in Hagerstown, Maryland. See the Power of DC website for more information. This event was not held in 2013. Check their website for more details. 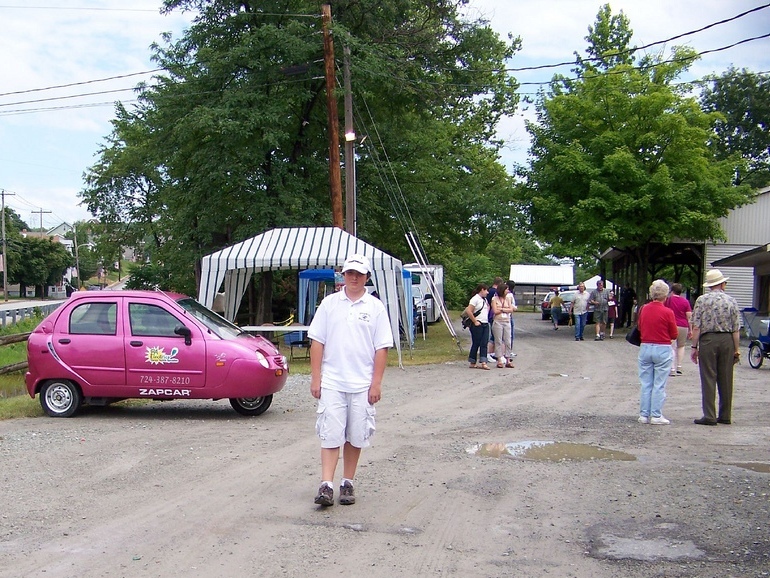 On August 14, 2010, the Allegheny Green & Innovation Festival was held at Hartwood (200 Hartwood Acres, Pittsburgh, PA 15238). It was an opportunity to learn about sustainable living and innovation in all forms. It was advertised as a zero-waste event, which included earth-friendly food and product vendors, crafters, green living demonstrations, a book swap, musical entertainment, and activities for kids. 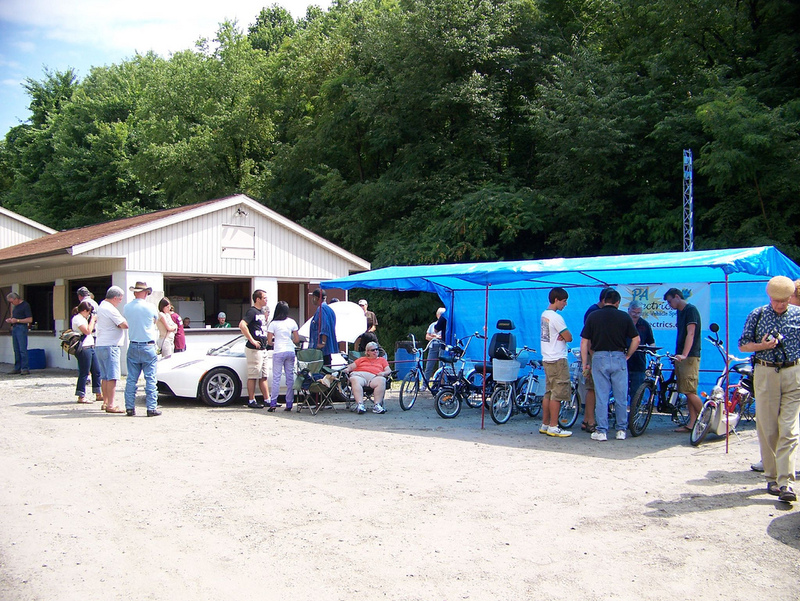 Several members of Three Rivers EVA attended the event and talked about electric vehicles and passed out information. 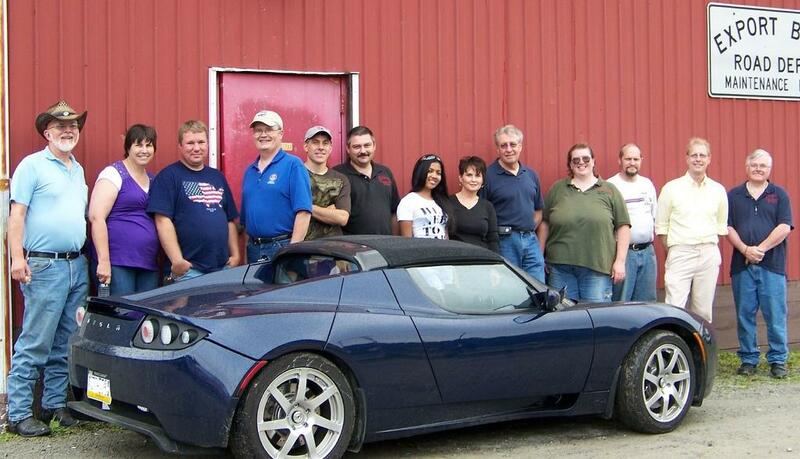 Our Club President brought his three wheeled Production Electric Xebra. Which was a big hit with the event visitors. Our club also attended the event in 2011 and on September 29, 2012. Our Club President brought his production 1981 Jet Industries Electrica 007 to display at the event both years. 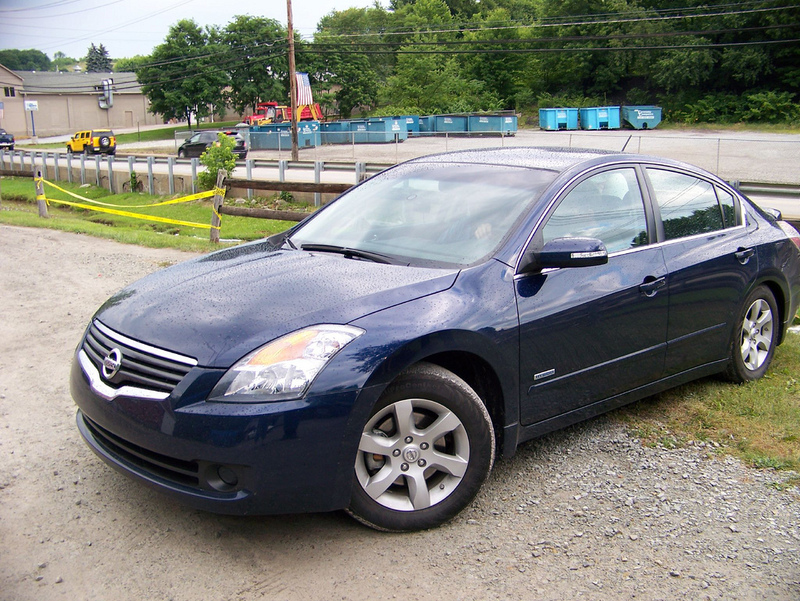 Community Event and Cookout at the ChargeCar Electric Garage, 4619 Forbes Ave, Pittsburgh. The Three Rivers EVA displayed several electric vehicles at the ChargeCar Electric Garage on Friday, July 9th at 7:00 PM. 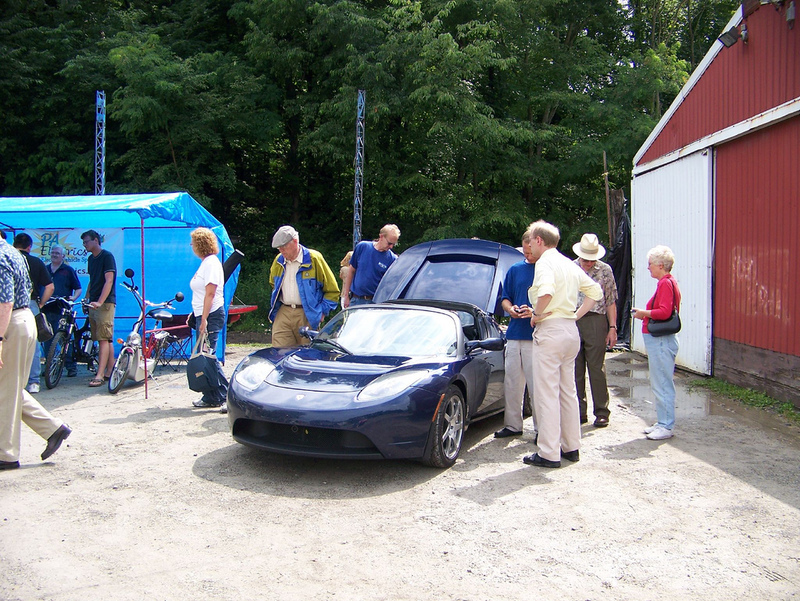 We also brought our Jet Industries Electrica 007 to the ChargeCar Electric Garage on Friday, July 30th at 7:00 PM, for their last cookout for the summer. To stay up to date on all things ChargeCar, please visit www.chargecar.org and join their forum and mailing list. 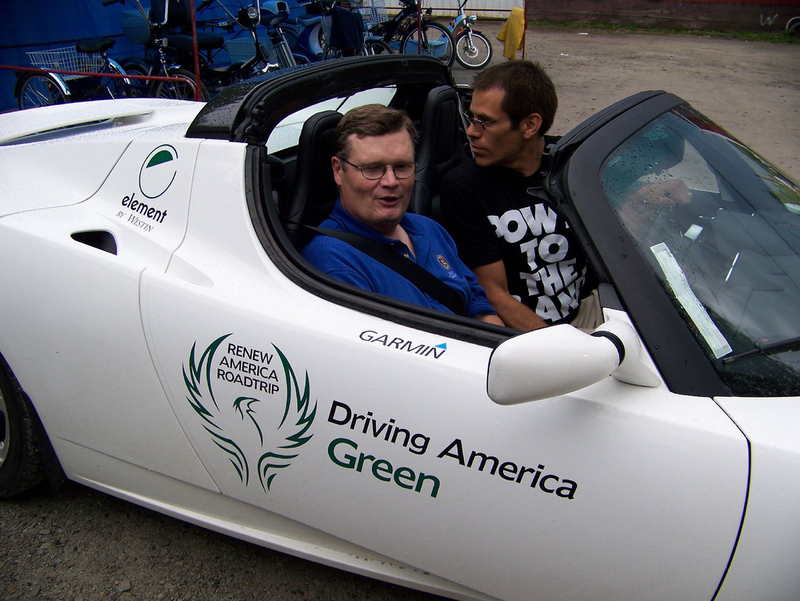 The Renew America RoadtripTM was "America's first green charity drive coast-to-coast in an all-electric sportscar." 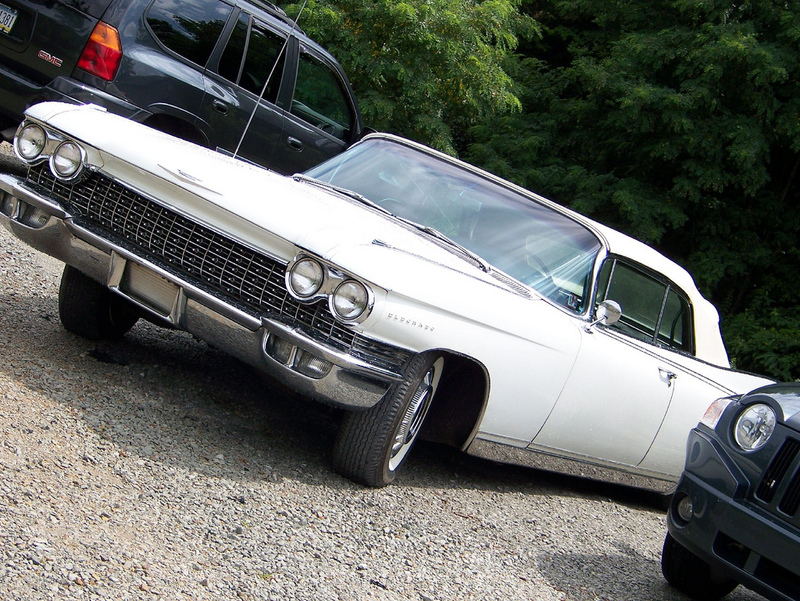 They drove from New York to California, starting on July 15th and ending July 31st, 2009. The Three Rivers EVA and PA Electrics sponsored the "Driving America Green - Charity Festival and Car Cruise" on Friday, July 17, 2009, to coincide with the visit of the Tesla Roadsters. 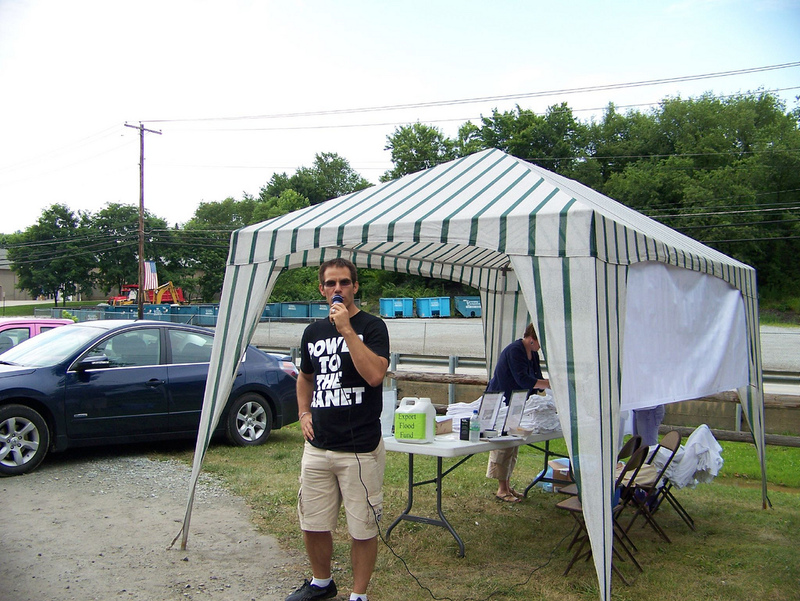 The event was held at the Export Firemen's Pavilion and featured a live Christian Rock Band called "Tuck". Money was raised at the event for the Export Flood Fund. 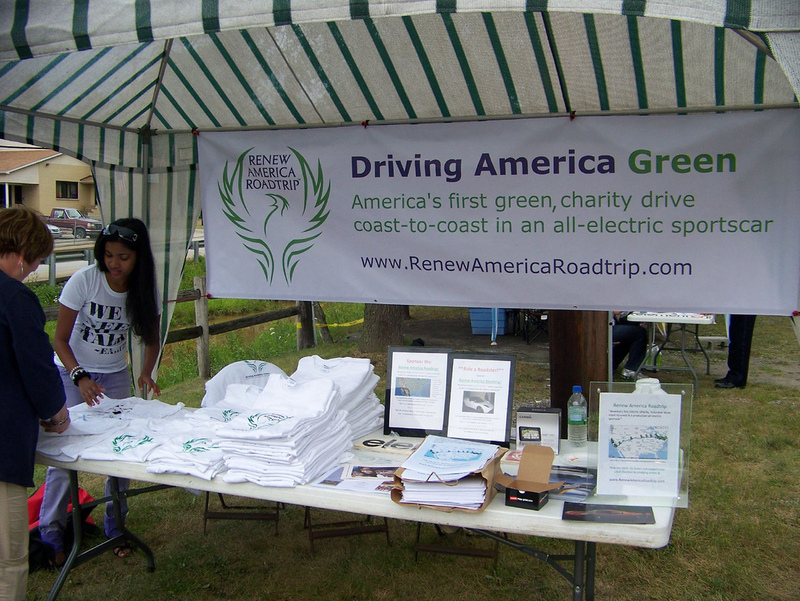 Maddy of the Renew America Roadtrip and members of the Three Rivers EVA around the Blue Tesla at the Driving America Green - Charity Festival and Car Cruise. Also in the picture is Cliff Metcaff, President of the Piedmont Carolina EVA who drove up in his Toyota Prius for the Festival. Our club had a great time hosting the Renew America Roadtrip! The Power of One Solarcar meet several members of the Three Rivers EVA in Pittsburgh, on their trip back to the Arctic Circle. 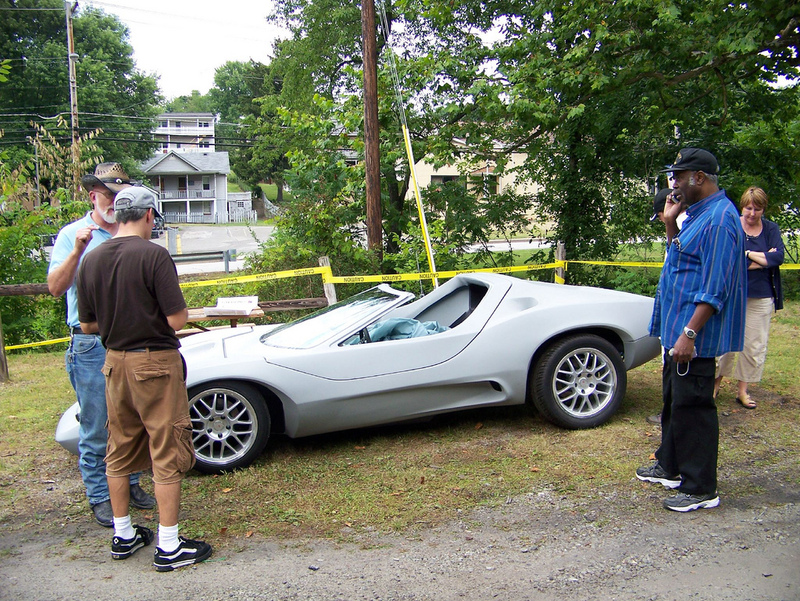 We were able to get KDKA to stop by and interview Marcelo (the driver) about the car. If you look closely when he is talking you will see four of our club members in the background during the solar car video. Our club treasurer also took video of Marcelo getting into the car to take it for a spin around the block for the KDKA cameraman. She posted the Power of One Solarcar video on YouTube. She also took photos, which she posted on her Flickr account of the Power of One Solarcar visit. After the cameraman left, Marcelo wanted to move to a sunnier spot, because the tall buildings were blocking most of the direct sunlight. So we drove over to the Carnegie Science Center and parked in their lot. While the solar car was charging, a professor from CMU pulled up in his RAV4 EV. He was attending the premier for the RoboWorld exhibit at the Carnegie Science Center. The Xof1 chase crew followed him inside, and after talking with the event organizers, they asked us to move the solar car over to the entrance, so that their guests could come out and look at the solar car. We also were able to go inside and check out the robot exhibit. The Spirit of DC and EVJerry stopped by to visit with members of the Three Rivers EVA over the Labor Day weekend. You can also check out our Club Treasurer's Flickr account for more photos of the Spirit of DC visit. The Spirit of DC outside of the PA Electrics shop - where the Three Rivers EVA meets on the third Saturday of each month. EVJerry and the Spirit of DC (Plug-in Hybrid Electric Vehicle) got to meet the PA Electric (three-wheeled All Electric) Xebra. 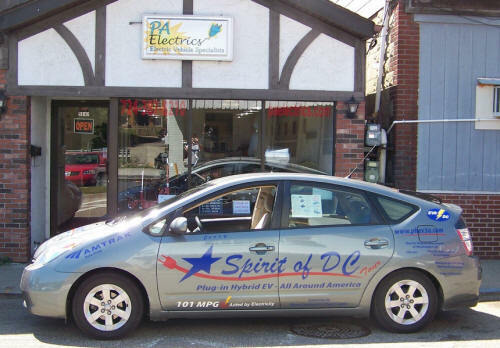 The Spirit of DC is a Plug-in Hybrid Electric Vehicle that has traveled All Around America! The Spirit of DC invites you to join them in their effort to teach the public about plug-in vehicles and the power of electricity in automobile transportation. Their first objective was to visit each state and demonstrate in a "show & tell" fashion the practicality of PHEVs.